I guess you could say I have a thing for water. 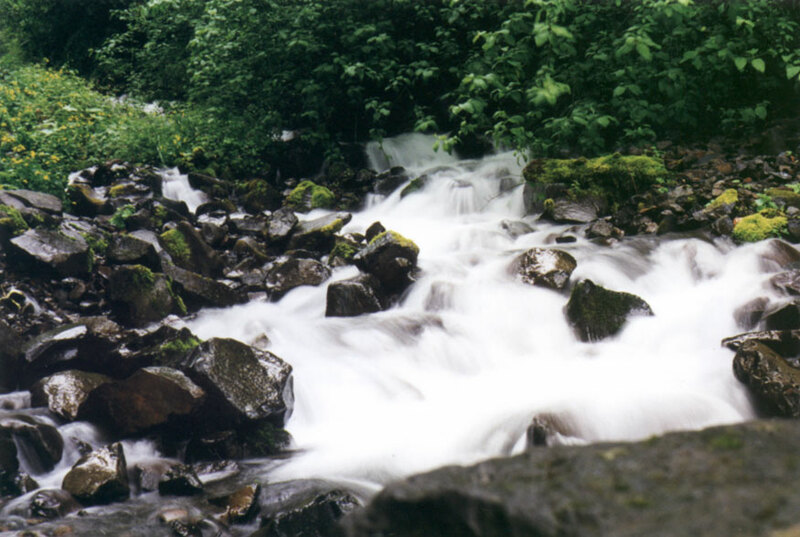 I love waterfalls, and rapidly flowing mountain streams, like this one. This picture was taken on a very overcast day (Im actually lucky I got this picture when it wasnt raining), which is great for evening out the light. The streaking effect in the water was created by leaving the cameras shutter open longer on a smaller aperture setting.